Am Samstag den 21. Juni 2008 um 16 Uhr sendete Basil Wolfrhine seine erste Radioshow in der neu eröffneten SchottenRadio Station rund um den Planeten via Internet. 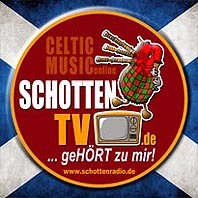 Der Rest ist internationale Celtic Music Geschichte mit vielen Freunden rund um die Welt. 10 Jahre Radio-Specials, Studiokonzerte, Sommer Partys Events, Festival Specials, Interviews, Radio Exklusiven, Reviews und Weltpremieren 24/7. Basil Wolfrhine: "Es war ein 10 Jahre nonstop Radio-Party-Traum mit großartigen Künstlern rund um den Planeten und vielen fantastischen Projekten voller glücklicher Momente. Danke an alle, die den Traum einer Celtic Family wahr gemacht haben. Danke an die Musiker, Komponisten, Plattenlabels, Manager, Eventbetreiber, Promoter, Techniker und all die helfenden Hände rund um SchottenRadio. Und ein besonderen Dank an alle unsere Hörer rund um die Welt. Danke für eure Unterstützung. Wir lieben es euch im Radio zu unterhalten und freuen uns auf all die Abenteuer die noch kommen werden." 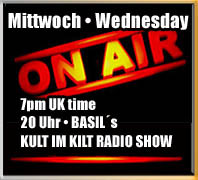 On Saturday, June 21, 2008, at 4 pm, Basil Wolfrhine broadcasted his first radio show in the newly opened SchottenRadio station around the planet via the Internet. The rest is international celtic music history with many friends around the world. 10 years of radio specials, studio concerts, summer party events, festival specials, interviews, radio exclusives, reviews and world premieres 24/7. Basil Wolfrhine: "It's been a 10 year non stop radio party dream with great artists around the planet and many fantastic projekts full of happy moments. Thanks to everyone who has made the dream of a Celtic Family true. Thanks to the musicians, composers, record labels, managers, organizers, promoters, technicians and all the helping hands around SchottenRadio. And special thanks to all our listeners around the world. Thank you for your support. We love to entertain you on air and look forward to all the new adventures to come."